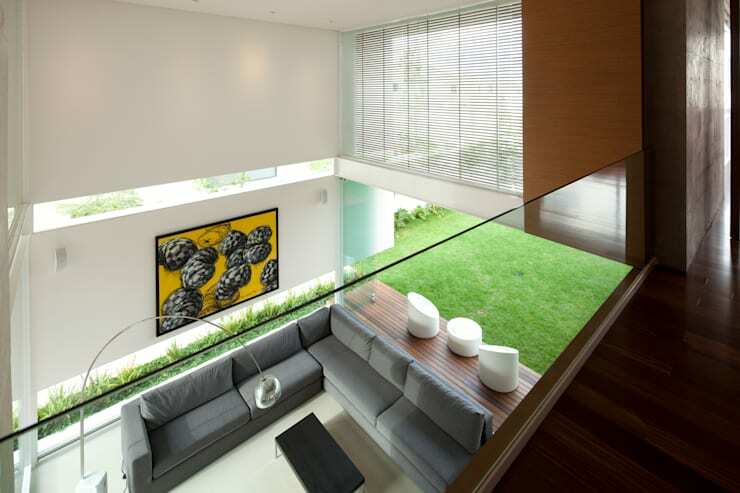 The house is located on a gated community in Zapopan, México. The main entrance is accessible through a roundabout with an old laurel. The project was developed in a short period of time; however the construction lasted a little longer than expected. 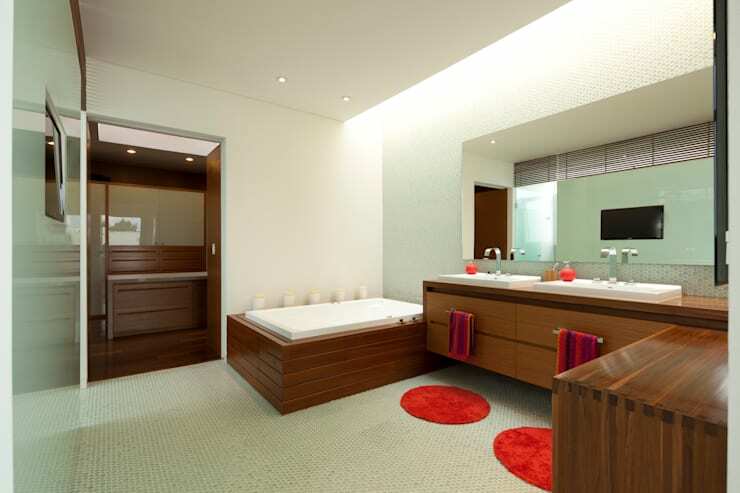 The approved design did not suffer any changes because the owners bet on the original idea. The formal concept aims to display simple and lightweight items that observed from the outside seems to float on a wooden base. From inside the bodies give the feeling of being free and unsupported. The location of the areas is generated from a “T” volume, with one elongated arm which is planted in the ground forming two generous voids, the first on the main entrance and the second on the inside. The pedestrian entrance contains a lightweight floating cover upon wooden walls that embrace the visitor, passing through a stairway escorted by gardens. 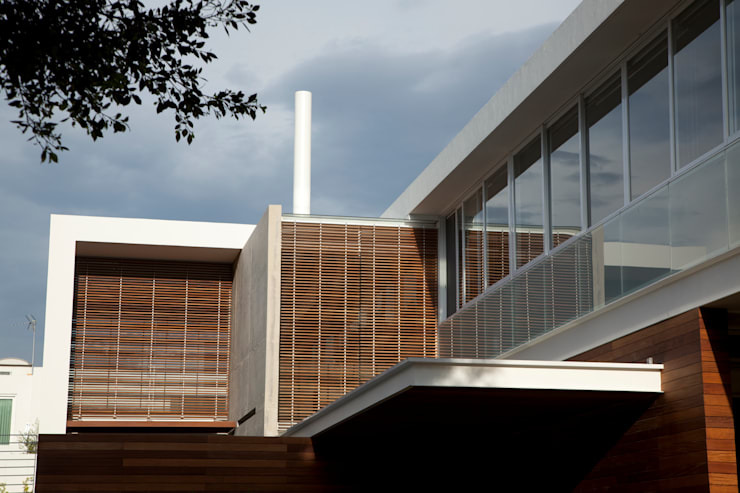 The car entrance is extremely subtle; the gate is also covered in wood, disappearing from the view, thus achieving a smooth wall on which the second level of the house arises. 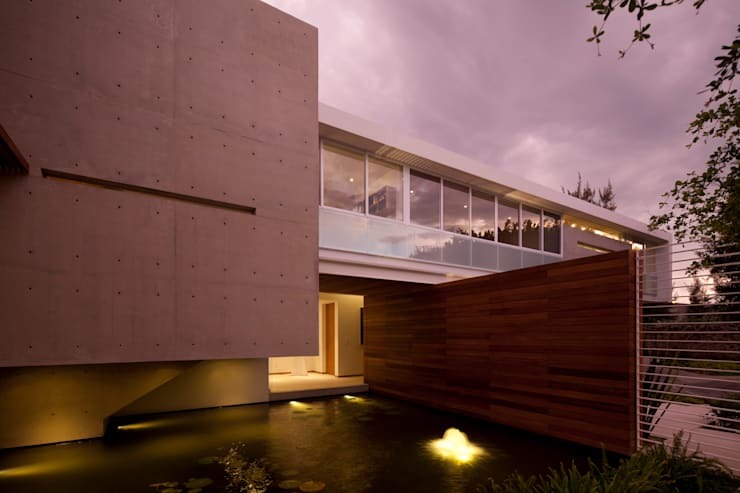 The house has a discreet entrance but as you go through, different vanishing points and limits are incorporated and accompany visitors to finish with a transparent and open space that unfolds towards the back yard and pool. 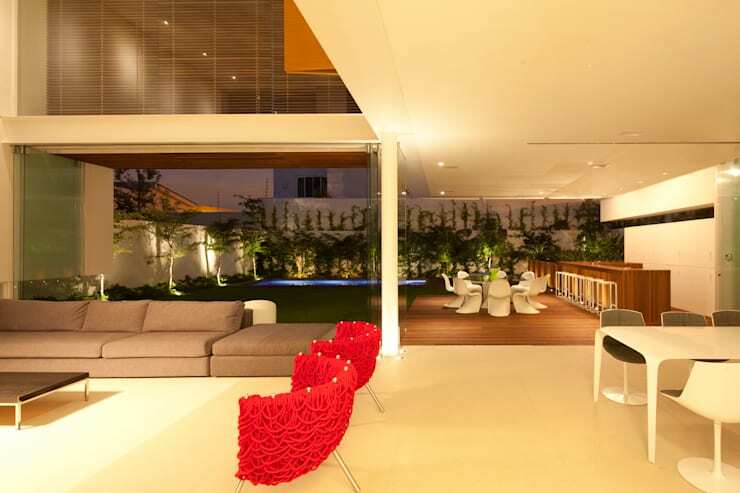 The living room is a generous double-height space, connected to the entry by a water surface. The solid exposed-concrete ladder generates a very powerful sculptural volume visually. The kitchen is discrete, but is attached to the dining room on one side and the services on the other; this space opens to the side garden visually through a floor to ceiling window. 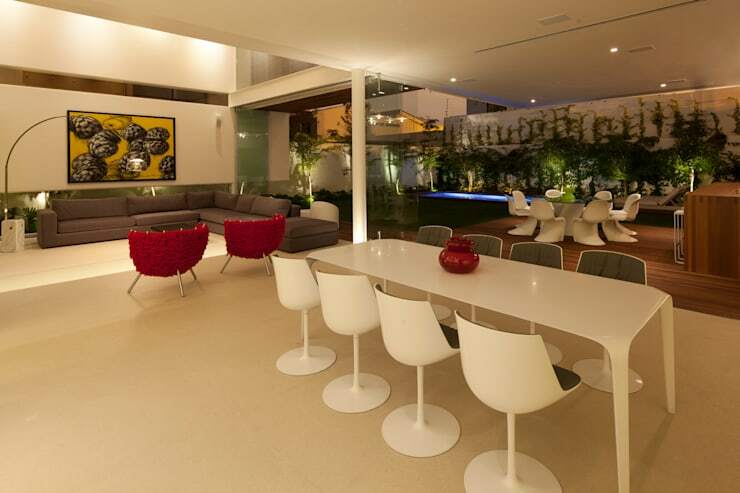 The dining room is spacious, open and distributes the social area, fully linked to the terrace, one of the most used areas in the house due to the mild climate practically the whole year in Guadalajara. The pool is located at the back of the property to gain sunlight, sheltered by a group of trees. 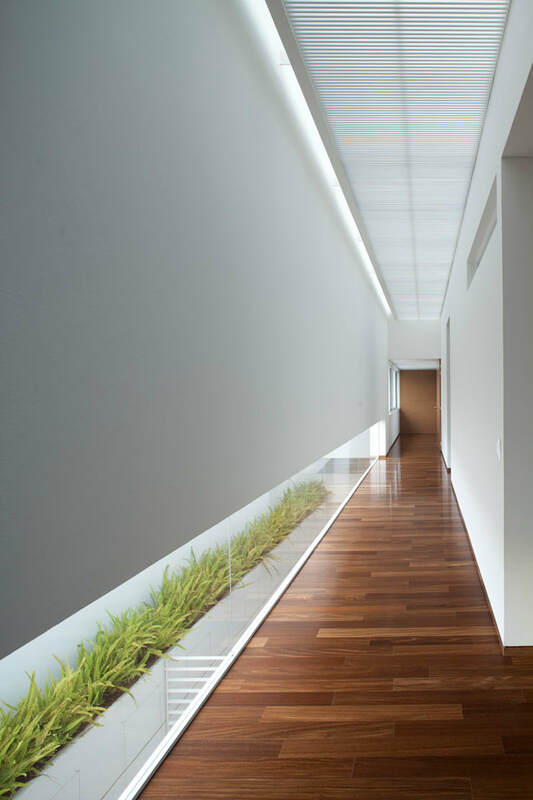 The corridor that lead to the rooms on the first floor, directs the eye to the inner garden under a gallery effect avoiding the views of surrounding houses to enhance privacy. We attempted to use a small number of materials but generous to strengthen the concept. 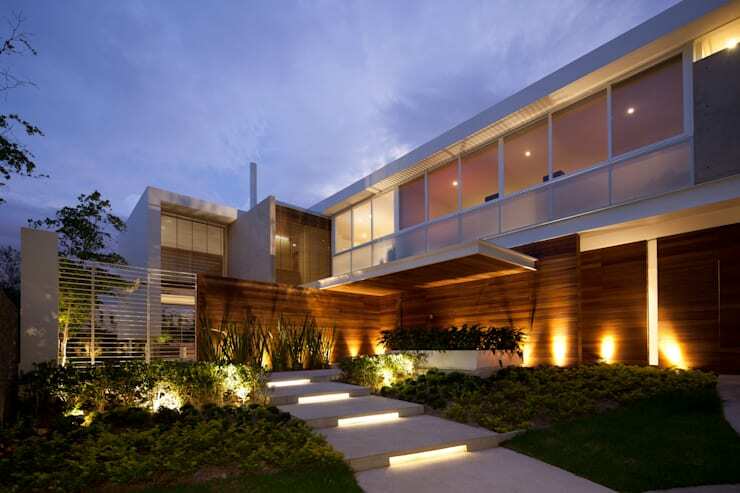 Wood and exposed concrete are the predominant materials. 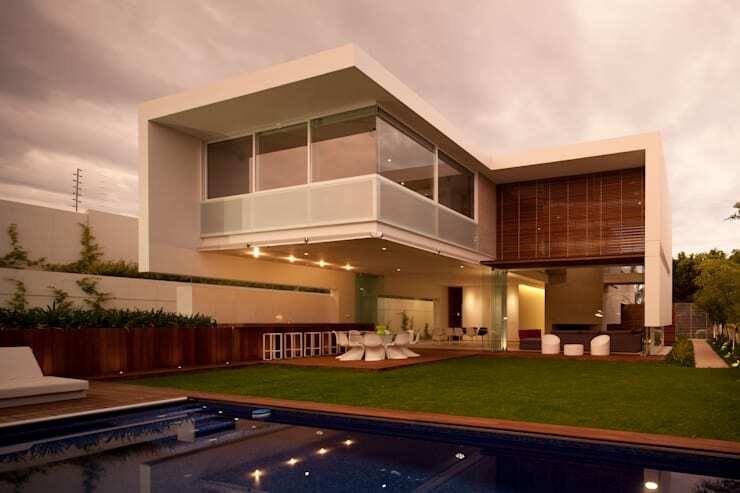 Despite being a project that fully utilizes the technical resources to achieve very generous and open spaces it accomplishes the feeling of privacy. 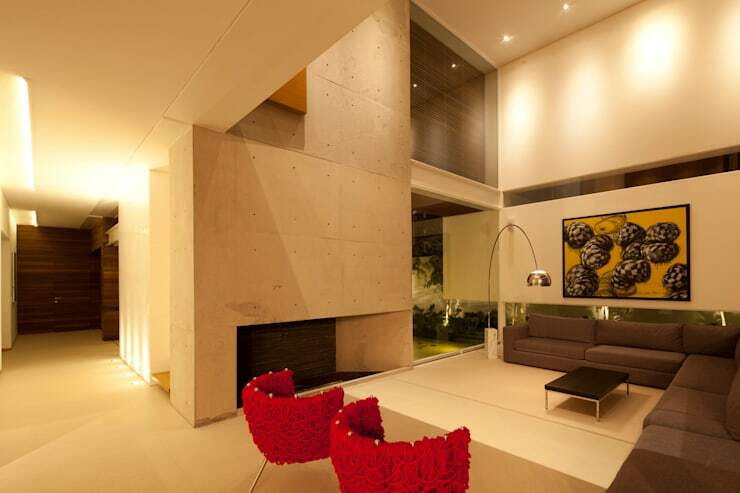 ["MX"] [Published] 10 fachadas de casas modernas ¡con iluminación espectacular! ["US"] [Published] 7 great ideas for path through the garden!